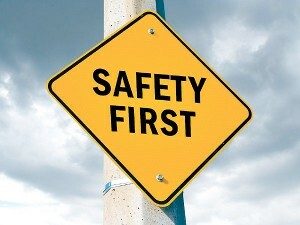 Safety is at the forefront of Centristic’s business philosophy. We aim to provide a safe place to work for all with Zero incidents and pro-active management of the working environment. Each manager has prescribed responsibilities and all staff are equipped through training to carry out their tasks in the safest way possible. We have recently engaged in an ongoing program that recognizes that clients require us to have a fully competent work force backed up with safe systems of work that are site and job specific. Managers have completed CITB and IOSH accredited safety courses, whilst others have completed supervisor courses. All staff, whether workshop based or site oriented, have relevant CSCS or CPCS cards. Centristic staff have qualifications that range from CPCS Telehandler cards and IPAF MEWP certification to CPCS slinger/ banksman and mobile crane appointed persons. Centristic employs an external independent H&S advisor as well as an internal Health and Safety Coordinator. We have an excellent safety record as Principal Contractor on CDM projects with timescales ranging from a few weeks, to 12 months and beyond. Centristic will manage a site and the numerous sub-contractors involved in a project with confidence. From supplying fencing and welfare facilities to running permit to work systems and near miss procedures, we work with the client, CDM coordinators and other contractors, to ensure a project is delivered in a safe and efficient manner. In 2017 our construction division where awarded the NHBC health and safety award for “Excellence in Health and Safety” for work carried out on a large housing development in the Plymouth area. This certificate can be viewed here.